Unless you're a Wii U owner or you completely adore the JRPG genre, there's a chance you have no idea what Xenoblade Chronicles X is. That's fair. Nintendo hasn't exactly been banging the marketing drum for this game, and I imagine that's because the company thinks its appeal will be a bit too niche. Which, hey, they might be right. The good news? 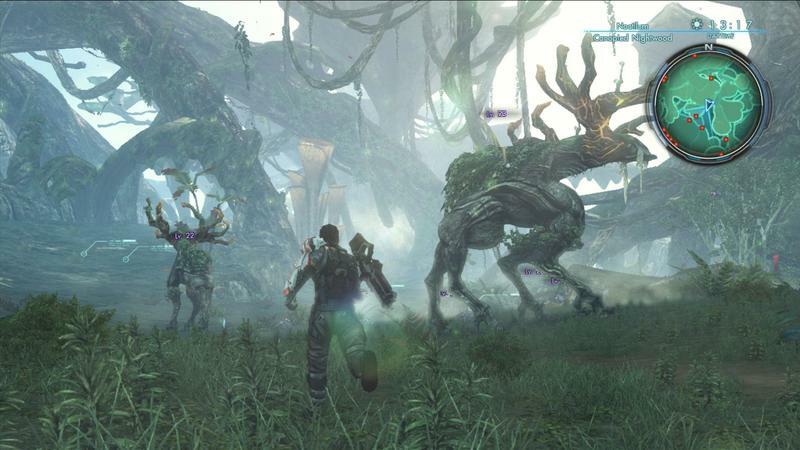 While Xenoblade Chronicles X will likely be a bit too intense for those who are unfamiliar with the JRPG genre, this game stands as one of the best of the year. Before we get down into the review, there are a few things I want to mention. I will briefly touch on the setup of the story, but I won't go into it deeply. When the game weaves back and forth through its tale, it's actually pretty inventive (though sometimes cliché as all get out). I don't want to spoil that for you. I also openly admit to the fact that, after 75 hours of play, I haven't finished the campaign completely. I think I'm close, but the game is enormous. 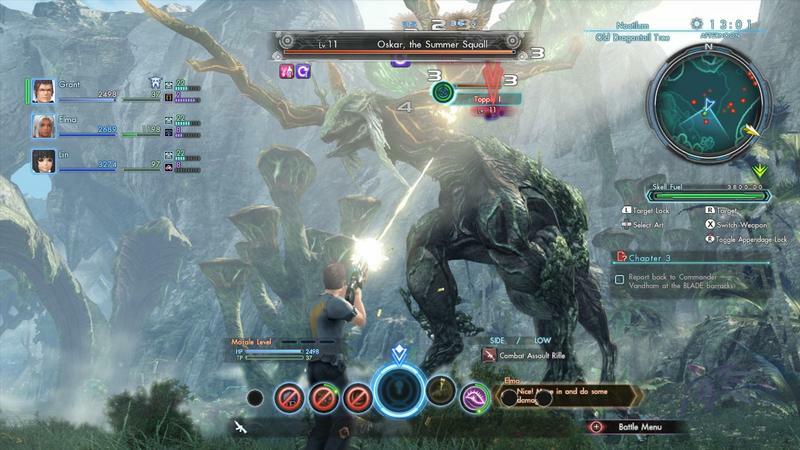 Xenoblade Chronicles X has a lot to offer fans of the JRPG genre. It's rewarding, addictive and fun. 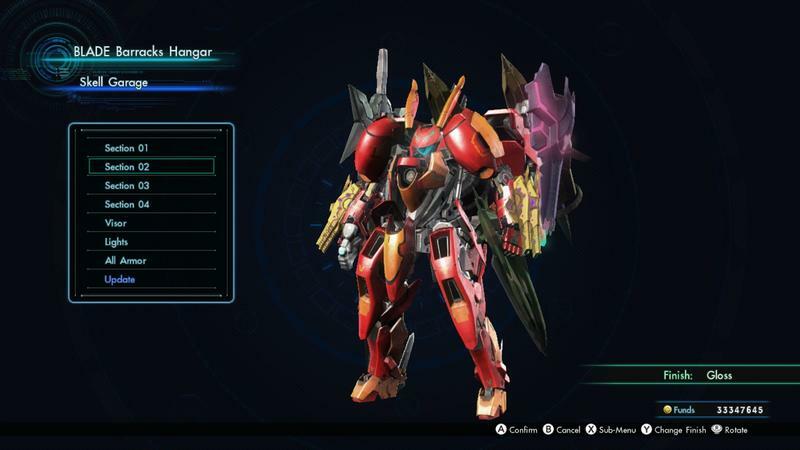 Monolith Soft knocked it out of the park. It all starts with amnesia… of course it does. In Xenoblade Chronicles X, you play a character with amnesia. Yes, audible groaning begins immediately. The story is more interesting from there, I promise. Humanity is pushed to the brink of extinction by invading alien races, and each city is chased from Earth on colony ships. One such ship, your ship, holds the New Los Angeles colony. It crash-lands on an alien planet ripe with life, monstrosities, secrets and all sorts of good stuff. You'll work to take the colony from a simple crash site to a new home for the human race. That's the basis, and I won't go into it beyond that. It's a good setup that twists and turns throughout, and the tale boasts a lot of wonderful characters and super awkward cutscenes, just the way I like them. The characters are all voiced surprisingly well, too. In fact, as you manage your party of four by constantly swapping in new allies, you'll grow to love the way certain characters behave and look. The good news is that you can use "fashion equipment." Yep, you can equip certain things just for their looks while actually wearing other gear for their stats. Good stuff. While vocal in battle, your character is silent in cutscenes, only really interacting with binary choices that occasionally pop up. Those choices will affect your parties' opinion of you based on each character's personality. You can also make yourself look very, very silly. What would a JRPG of this size be without mechs? It would be really hard to traverse, that's for sure. Enter the Skells, a whole separate layer of customization and management. The mechs feel great, can be hopped in and out of with ease and offer a way to both travel the ridiculously large world and battle massive monsters. They're fun, though they come a little late in the game. A great battle system meets a clunky UI. I played the original Xenoblade Chronicles on both the Wii and Nintendo 3DS. The game featured a sort of complicated battle system, complete with party-based art and skill combinations that required timing and focus to pull off. 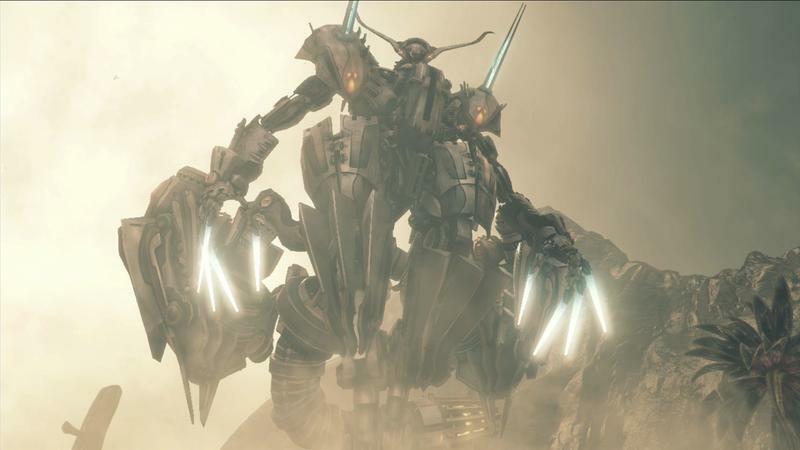 Those are back in Xenoblade Chronicles X, but they feel much easier to anticipate and use. For instance, you might have a skill that works best on a beast's side instead of their front. That attack might also inflict topple. Instead of this info being hidden in menus or in a super small font, it's right on the screen. Even further, if your party uses a skill that will combo with yours, your skill will glow and slow the game briefly win activated, usually giving your group bonuses in the process. The battle system smartly trains you to use certain skills in certain situations through this bonus reward system, and you'll be extremely efficient by hour 10. Then it introduces the overdrive system, and that only pushes battle enjoyment further. It's a system that's easy enough to grasp on its own, but there are plenty of nuances that will allow for further master at 10, 20, 30 and 40 hours into the game. My gripe, then, boils down to the presentation of information. It's great when you're in battle. When you're in menus? First, there's way too much text on screen while navigating menus to select gear and upgrade stats. Even worse, Monolith Soft had to introduce sub-menus to each menu, where you'll find even more information waiting for your consideration, including a buried option to select strongest gear… a feature that I rarely found useful as it picked gear that wasn't the best for my characters. 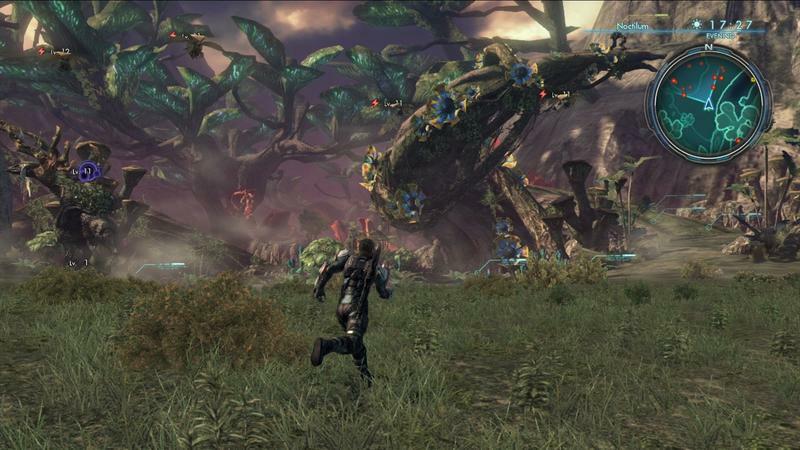 Xenoblade Chronicles X is in desperate need of a more manageable interface. In battle, it's fine. Out of battle? Sorting through skills, navigating class trees, picking great gear and managing your upgrades and slots? There's so much information, and it's often laid out in confusing ways. You'll spend a lot of time in menus, which is sort of standard for the genre, but you'll find yourself trying to figure things out a bit too much for my taste. That goes for things like finding party members and sorting out which quest you can actually do. More times than not, it's easier to wander the city than it is to pour over the map in order to find new quests and such, and that's a problem that highlights the UI design. When you do finally get that Skell, be ready for a wealth of new information that piggy-backs onto the already complex battle system. Nintendo actually put up a trailer recently to talk about the Skell combat system. Watch it for an idea of this game's depth, and remember, this is only one section of mechanics. Battling is fun. Thanks to the exceptionally diverse enemy types and locales, the unique gameplay hook stays interesting. You'll fight a lot of different stuff in different places, and that's cool. It's especially cool when you consider that you'll do it on foot, in the air and in a giant robot. Data packs and the technical limitations of the Wii U. Ready for some weird, technical stuff? 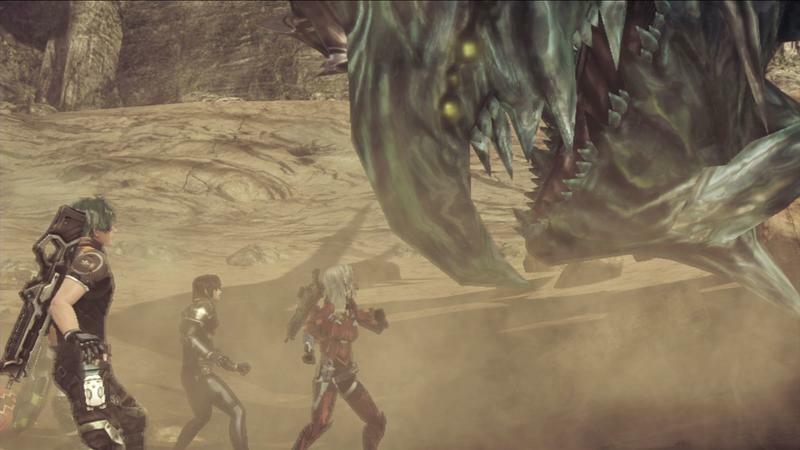 Xenoblade Chronicles X is a big game that requires a lot of storage. Now, I had a physical copy of the game, so I don't know how big the main file is. I do know that it arrives a bit hamstrung. Here's what I mean. Nintendo has released four separate downloads called Data Packs. These are free, keep that in mind. They essentially contain content that will load enemies, environments, characters and gear into the game faster. Without the packs, loading time can be a touch lengthy and you'll notice a lot more in the way of enemy and environment pop-in. With the packs, things are better. The issue is that the Wii U only offers 32GB of storage in its biggest form. The data packs will occupy nearly 12GB of save space. The file size for Xenoblade Chronicles X in Japan is 22GB. Nintendo says that digital copies of this game won't require data packs, so there's good news. I know that I had to delete games to get Xenoblade Chronicles X working on my Wii U in tip-top form before I picked up another external drive (my first fried, for some reason). If you have games stored on your console and don't already own an external hard drive, be ready to delete things if you want the best experience. Staight from Nintendo, "the data packs are not required to play, but they will greatly increase the speed of loading times in the game." 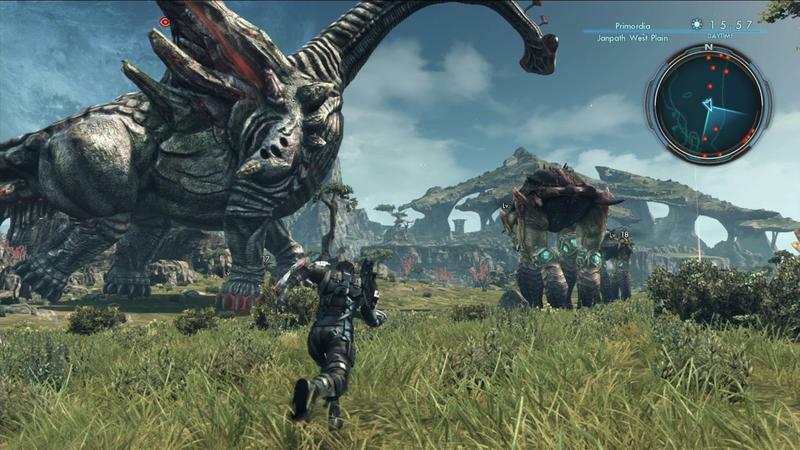 To say that Xenoblade Chronicles X is big would be an understatement. The game is sprawling. 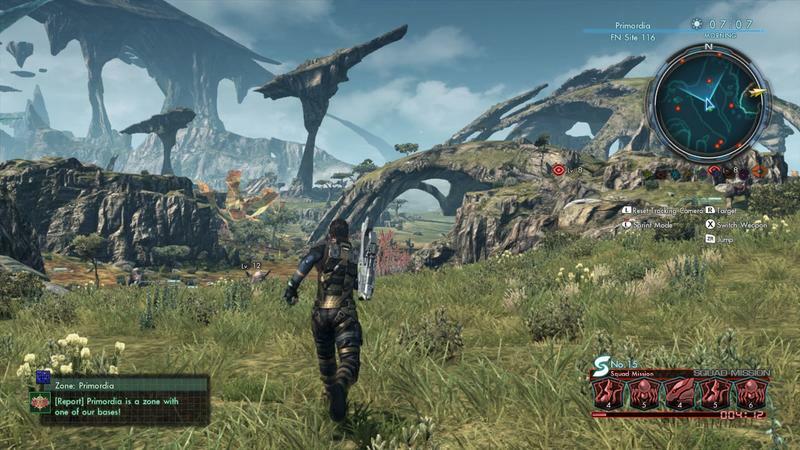 I'm not the type to compare one game's sheer size to another, but it absolutely feels like Xenoblade Chronicles X is one of if not the largest game I've ever played. That's scale. Then there's scope. Sure, the game world is big. The map is spread over five continents and a single main city. You can walk from place to place without hitting a loading screen, and I assume that would take a really, really long time. I don't know, because I never made the trek. 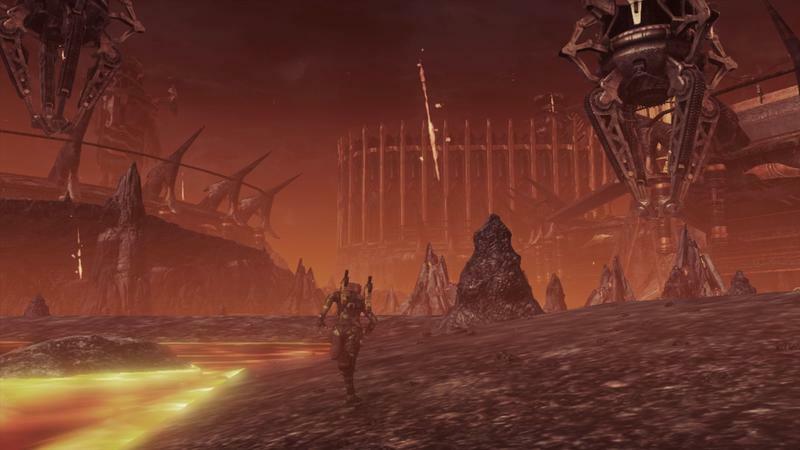 The crazy thing is that Xenoblade Chornicles X maintains that scope of you existing as a very small piece of this enormous world by making great use of set pieces to define size. Take this screenshot, seen directly above. You see the rocks and such in the near vicinity. You also see the huge level 31 creature of in the short distance. That beast isn't even close to the biggest monstrosity in the game, by the way. Not by a long shot. Then you see the crashed colony of New Los Angeles. Then you see the giant, sprawling rock formations that make up the nature of the plant you're on. Almost every moment in Xenoblade feels this way. Even when you're in your mech, you feel small. You are small, and that sense of scale and scope makes the game feel as big as it really is. 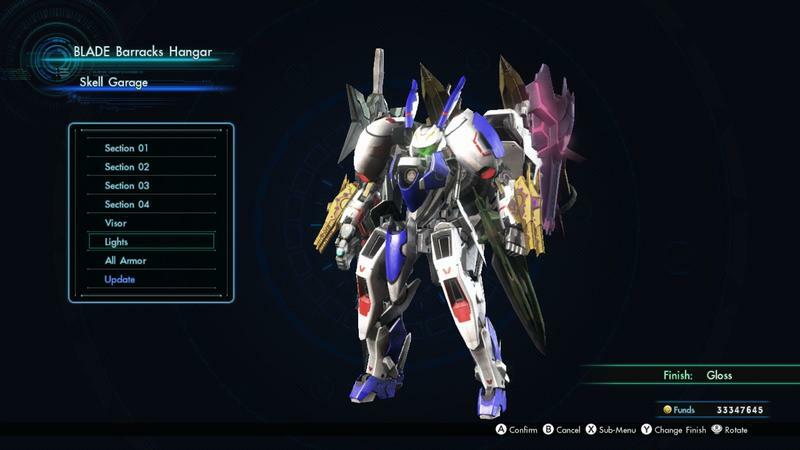 To handle that size, Monolith Soft was smart to include a few convenience tweaks. First, you can autosprint with just a few button presses. That means you won't need to hold down a direction or constantly steer in order to cover large distances. You can also fast travel with the GamePad to places you've already discovered. Loading is pretty quick with the data packs installed, so fast travelling never feels annoying. 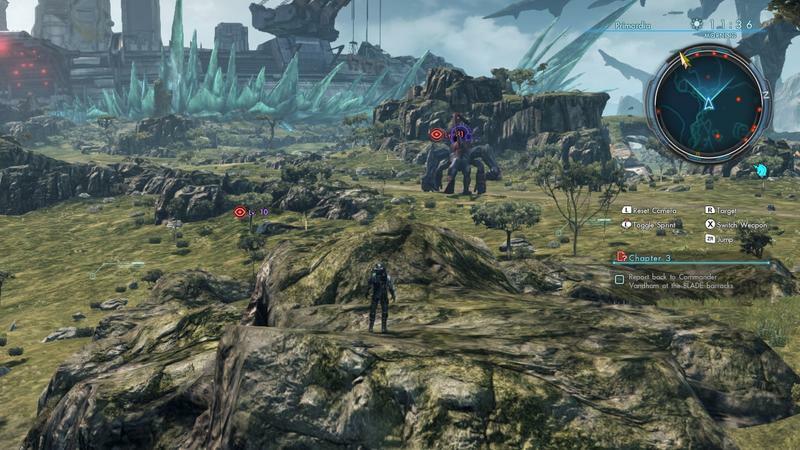 You can cope with the size of Xenoblade Chornicles X, and that means you can enjoy exactly how big it is, too. Not without issues, of course. The problem comes from beasts that are way past your level blocking the most convenient path to a destination. There were plenty of times that an extra 20 or 30 minutes would be tacked on to my current quest simply because a level 60 aggro beast sate between me and my goal. That was when I hated the game's world design. The follow ball (a thing that you'll find early on that floats in the world and guides you to your next objective) doesn't always take you on the fastest or safest routes, so don't trust it. Finally, you can't place custom waypoints. Why? I don't know. 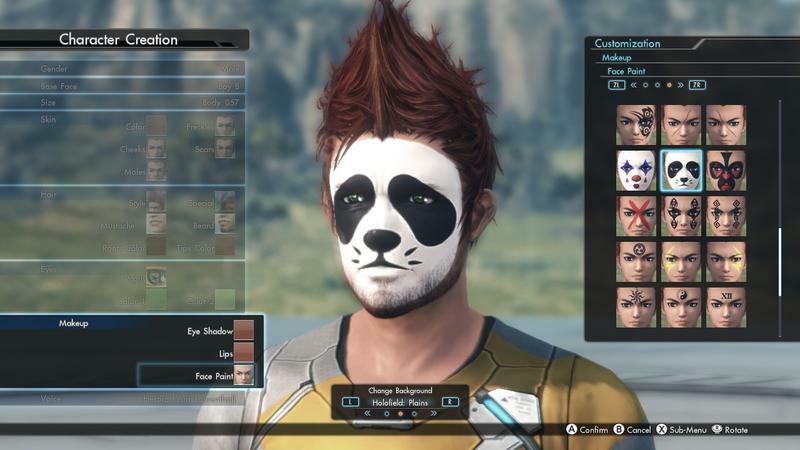 Xenoblade Chronicles X is a wonderful game. Almost all of its misgivings are born out of its lofty aspirations, and those are the types of game design problems I'm genuinely okay with. The game is dense as all get out, its menu system can be convoluted, it offers very little in the way of tutelage and when it does take time to explain things, it's often so horribly handled that chunks of information will fly by the player. All of this is symptomatic of a much larger disease. 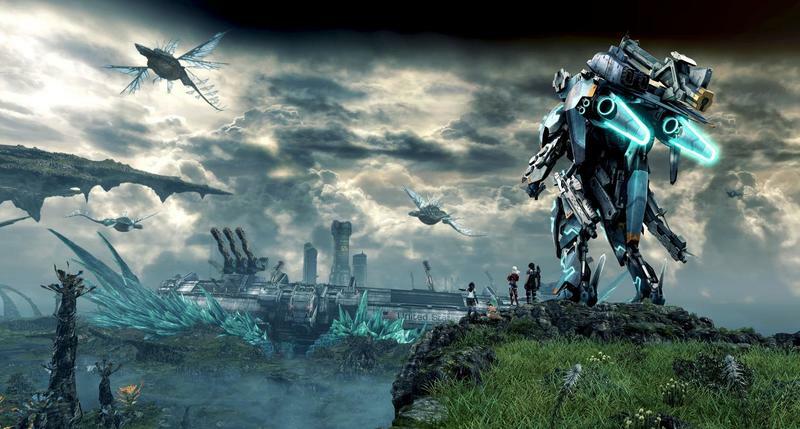 Xenoblade Chronicles X has a lot to do and discover. At a blush, there's an in-depth combat system, Skells, Affinity Charts, Skills, Arts, Classes, gear for you, gear for your party,gear for your robot, a four character party with rotating characters, side quests, Affinity-based side quests, story quests, probe placement, mining, BLADE leveling, BLADE Division selection, Division Spoils, upgrading manufacturers and a whole, whole lot more. The game keeps giving, and it's that constant evolution and absurd amount of content that makes it so hard to learn. 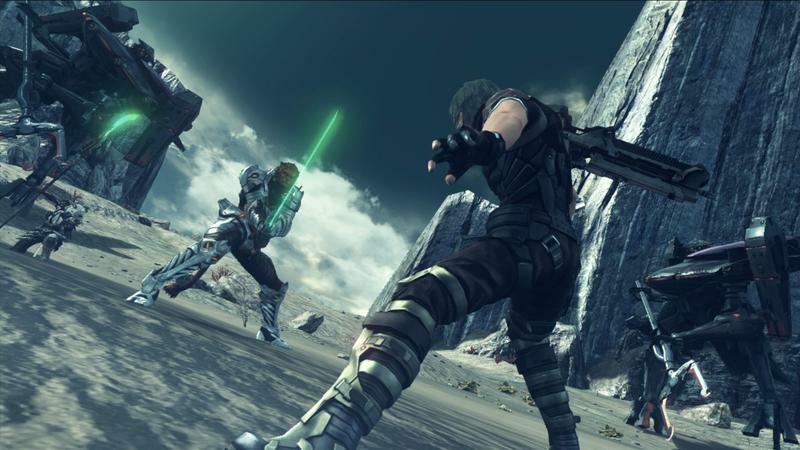 The crazy thing about Xenoblade Chronicles X, then, is that it still manages to be fun. Even when you hit a story chapter that requires a few very tedious progression tasks in order to unlock, the game still manages to make those grindy moments fun. Yeah, you'll be annoyed by things like map design when you're simply trying to get from point to point, but taking time to battle a monster, drop a probe or find a reward will make those moments better. My only real issue with the design game is exactly how long it takes to get the Skells. You won't see your mech until around hour 20, maybe. That's the rough average floating around out there. I didn't see mine until hour 25. I wanted them closer to hour 10. I get that the designers want to build a sort of reverence and lust for the machines as these next-tier things, but it just takes so, so long to get to them. 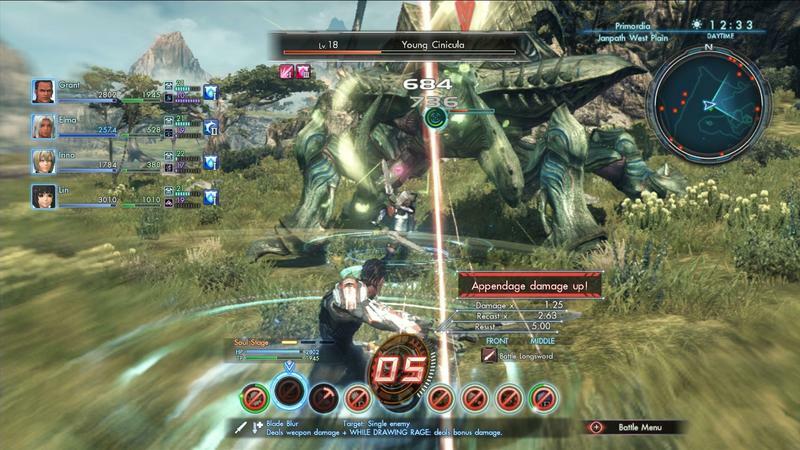 Xenoblade Chronicles X can be tedious. Point-blank, if you don't like games that make you work for their wonders, you probably won't like this one. 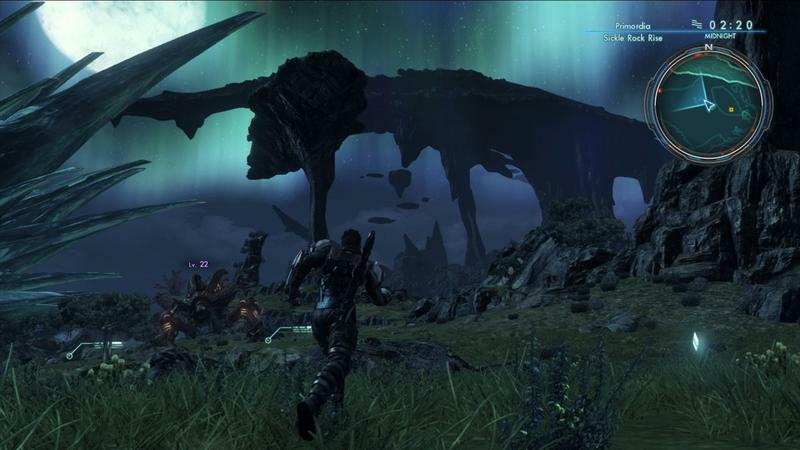 However, if you know that your signing up for a game that will take you 80 hours at least to really enjoy, that you'll constantly be learning, that you'll hit walls of frustration between bouts of glory, Xenoblade Chronicles X is one of the best games of the year. If you can get through the wilderness, this game is endlessly rewarding. Know yourself, then make a choice. For me? Xenoblade Chronicles X is a buy. 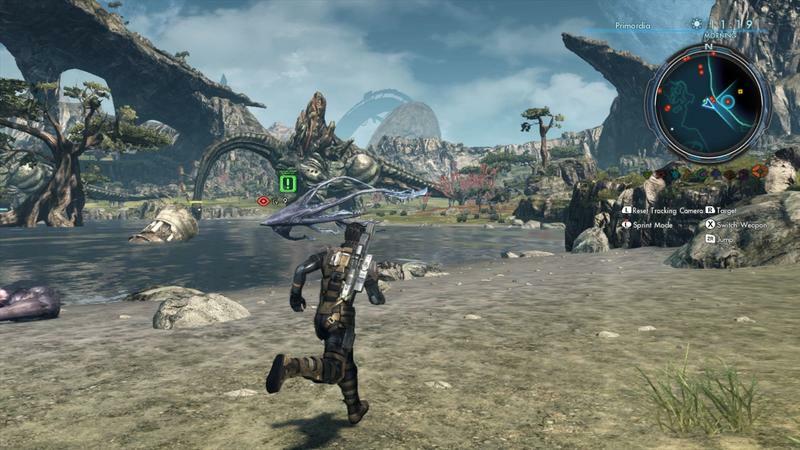 Disclaimer: We received a physical copy of Xenoblade Chronicles X for the Wii U from Nintendo.